Hello all! I want to share what I've been working on recently, so here it is! This place has no name, so I'm open to suggestions for one. Any and all suggestions/tips/constructive criticism is very much appreciated! Let's move on to the screenshots. Texture pack is John Smith. This is AMAZING, I can't wait for this to be finished. Will there be a download? 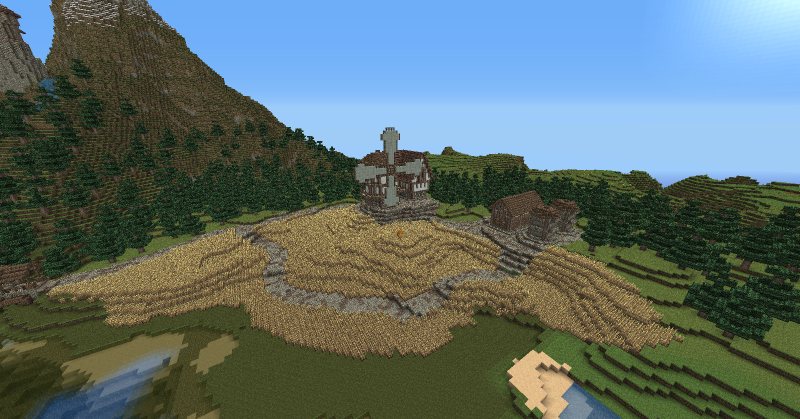 I like this one a lot Glad to see more people using wheat without the silly wheat/water/wheat/water row crap. Can I ask how you made that pretty amazing mountain? I used Single Player Commands. Specifically World Edit brushes. 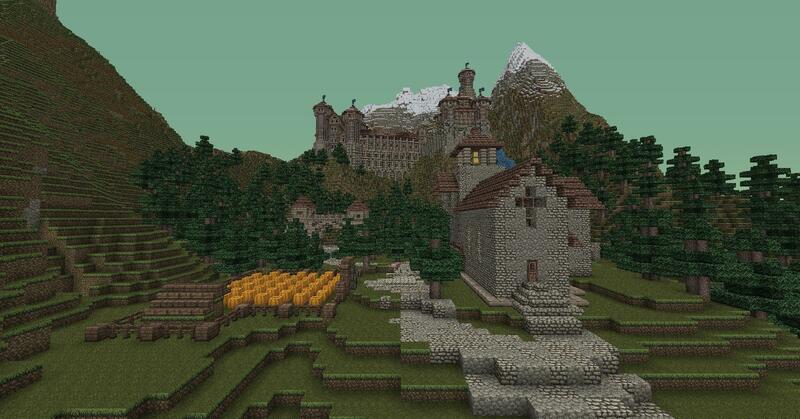 Wow, that's an amazingly detailed world you've created. Keep up the impressive work! Cool, I like how you made your walls go along with the terrain, that gives it a very natural look. Are you planning on putting up a download link anytime soon? Harry Potter is all about confronting fears, finding inner strength, and doing what is right in the face of adversity. Twilight is all about how important it is to have a boyfriend. Holy cow, this is stunning! 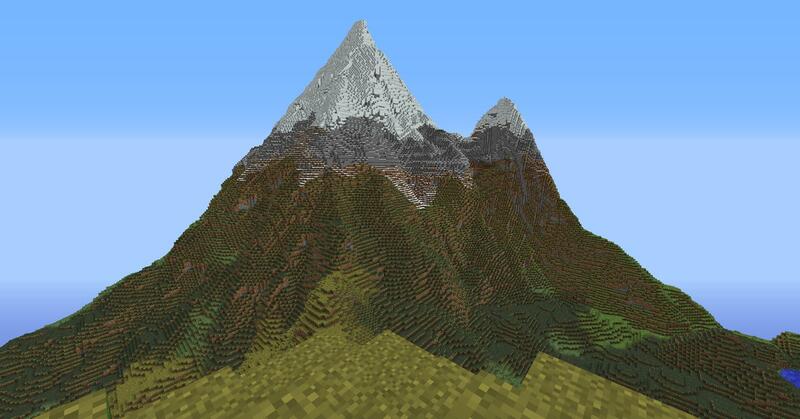 You should remake the mountain on another single player game and let us download the mountain so we can make our own designs on the mountain.Also this is very epic!!! Best creation ever! This is beautiful. I wish I was half as good as you. 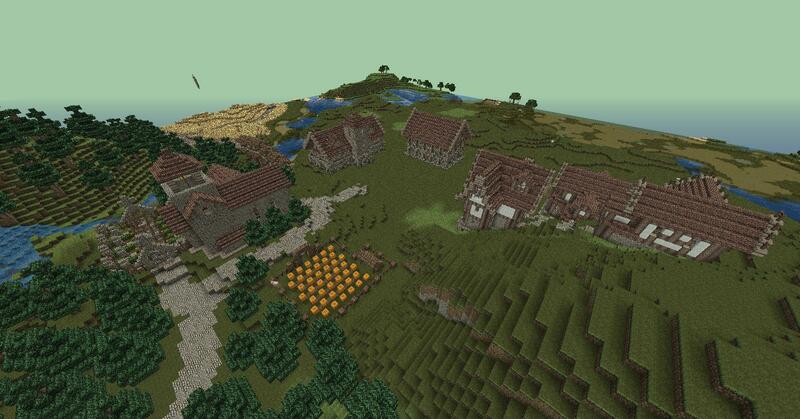 You, sir, are true Minecrafter. Also, you should include a picture of the castle's front gate; after all, a castle's front gate is it's face. As for a name, my suggestion would have to be... Vildenarin Keep or perhaps Castle Everhearst. I am Co-Founder there, if you like serious roleplay, join us! Very Impressive. 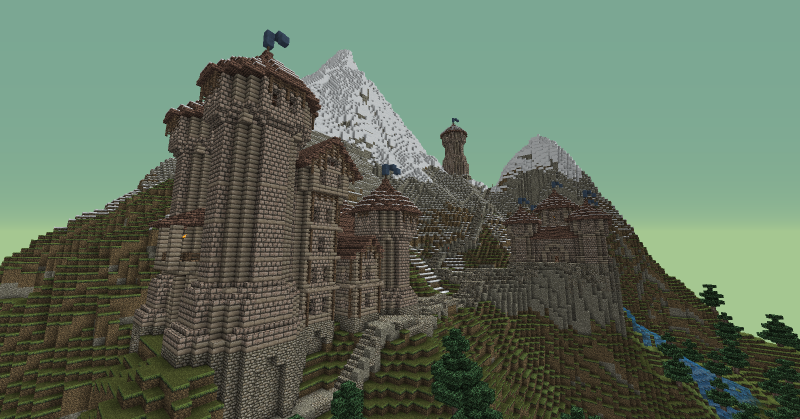 I love the mountain, and i love how you created a little town at the base. Just amazing. A moment while I find my jaw, it hit the floor a while back. This is great. 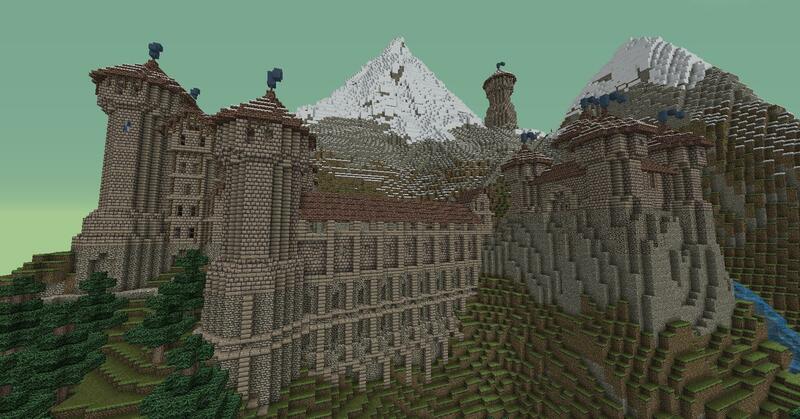 The mountain looks amazing, as does the castle. Very cool. Wow that's so cool. I'm going to download it right when we are able to. You have inspired me to make great things. Good job!